French early 19th century cotton quilt edged with the floral border of a mouchoir.two different designs of lush roses and other flowers against a background of 'bonne herbes'verdant greenery.very pretty and fresh. The border is in perfect condition and measures approx 15cm deep. 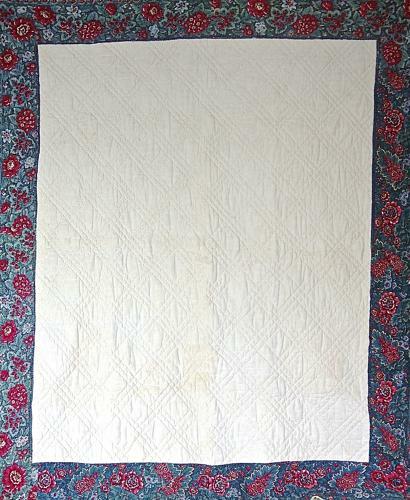 The white cotton center which has some minor faded marks and a small amount of discolouration and measures approx 135 tall x 117cm wide.